Before he was known as the Pambansang Bae and the other half of the very successful AlDub loveteam, Alden Richards (or Richard Faulkerson Jr. in real life) was the up and coming star of GMA Network dubbed as the Pambansang Dimple. 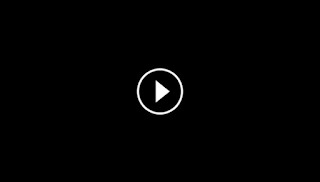 Alden was featured in "Tunay na Buhay", a show hosted by Rhea Santos and which presents real people, real stories (providing you with) real inspiration. 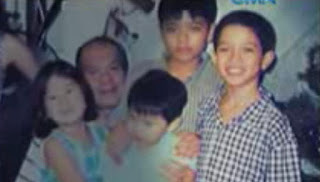 The young Alden with his family. The show tells us of how Alden’s boy-next-door appeal had been prominent even through his growing up years that people had been prodding him to become an actor. Growing up in a simple but loving household, Alden revealed that he had actually wanted to become a pilot before because it was his father's dream and he wanted to do it for his Dad. But his mother had always wanted for him to become actor. His first exposure in the celebrity world was in Starstruck Season 5. Unfortunately, he only made it to the top 16. But good things really come to those who wait and work hard for it because pretty soon, he was given roles in shows and movies such as Alakdana, Tween Academy, The Road, and My Beloved. His big break finally came when he was given the lead role to One True Love, opposite Louise delos Reyes. Sadly, his mother died from pneumonia before seeing Alden acting in television and the big screen. But we're sure his mother is happy at Alden’s achievements not only because it was her dream for him to be an actor but because Alden had learned to love the craft so much that he is now one of the most successful actors in his generation.